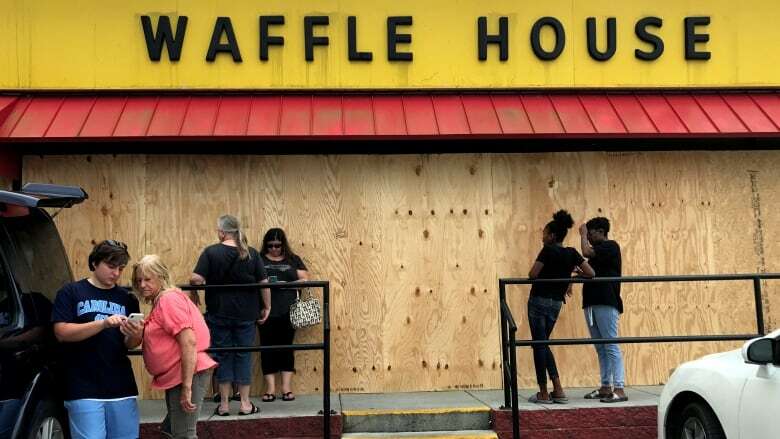 The Waffle House chain has become so adept at disaster readiness that the Federal Emergency Management Agency has a Waffle House storm index to judge severity and economic impact on affected communities. 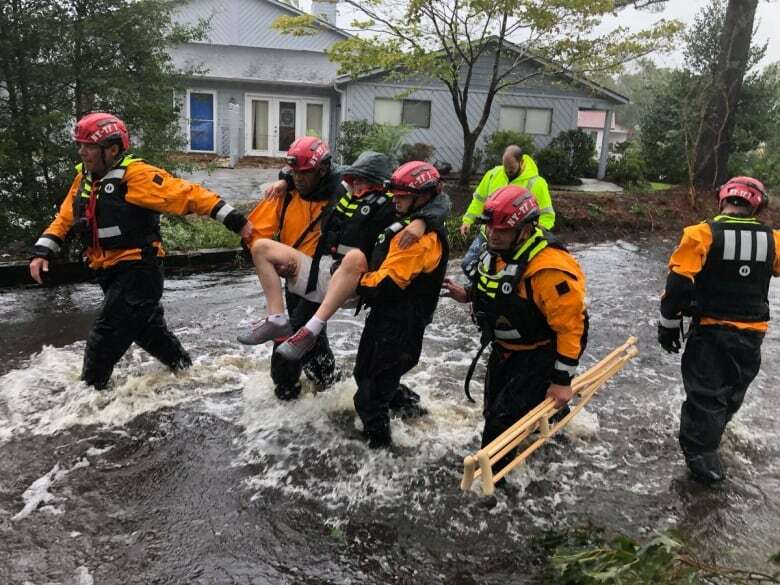 As Hurricane Florence made landfall on the U.S. East Coast, some businesses went going the extra mile to stay open and help those being hit by the storm. 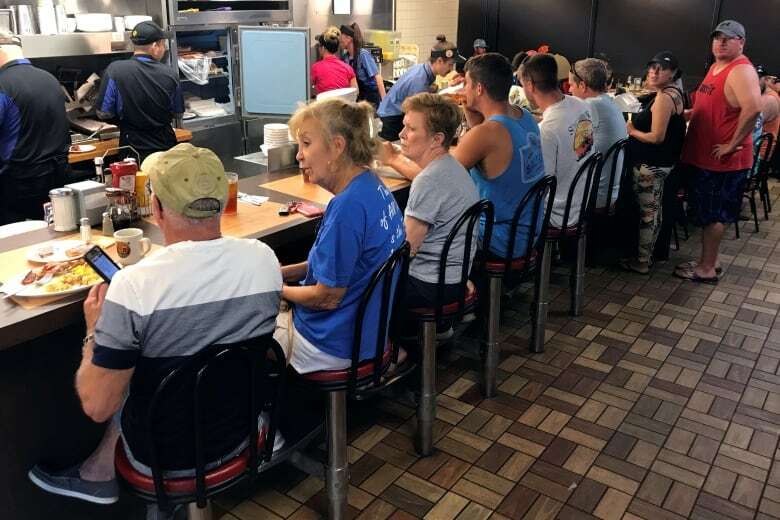 Amidst the chaos, some residents and government officials turned to an unlikely source for information: the Waffle House. On Friday afternoon, Florence was downgraded from a hurricane to a tropical storm by the U.S. National Hurricane Centre. Earlier this week, Waffle House, which is open 24 hours a day all year, opened a storm centre to monitor the situation. The Georgia-based restaurant chain is famous for staying open during natural disasters — to the point that the Federal Emergency Management Agency (FEMA) has coined the term "Waffle House Index" to measure the severity of hurricanes, storms, tornadoes and other hazards in an area. Pat Warner is a spokesperson for the Waffle House. He spoke to Day 6 host Brent Bambury about the restaurant chain's role in responding to hurricanes. Why does the Waffle House even have a storm centre? We're really going back decades to Hurricane Hugo. We've been responding to storms just by our nature. For those not aware, we're a 24-hour, seven-day-a-week restaurant. We never close. It's just part of our culture to be there for the community all the time — and then after a storm, we'll be there as quickly as possible. Hugo was the first big hurricane we responded to, but we've really evolved since then. We learn from every storm and try to get better the next time. We will activate what we call our storm centre here in our corporate office mainly to support our folks in the field. They're the ones that are doing the heavy lifting, as it were. They're the ones that are getting the restaurants open and doing the big part of the Waffle House response. We're here ... just giving them information and helping to coordinate the resources they need as the storm progresses. So what are you hearing from the Waffle Houses in Florence's path? Have any of them had to close down? There are a few closed right now. Right now, we're still getting information in from them. She's moving very slowly, so she's dumping a lot of rain. We're looking at access issues with flooding and power issues right now and so, we're tracking those but also trying to get our resources ready to roll in when it's safe to start setting up the generators and bringing in the food that we need to get the restaurants back open. So what would happen if there was an evacuation order? Would the Waffle House remain open even though you're being told to leave? We try to stay open as long as possible because a lot of times, there's still some people there, and we're also feeding a lot of the first responders. But we will shut the restaurant. We're not going to have anybody in harm's way. It's interesting though that you're so involved in this contingency that FEMA has partnered with you in a way. They claim to measure a storm severity by something that they're calling the Waffle House Index. What is that? It all started back in 2004. 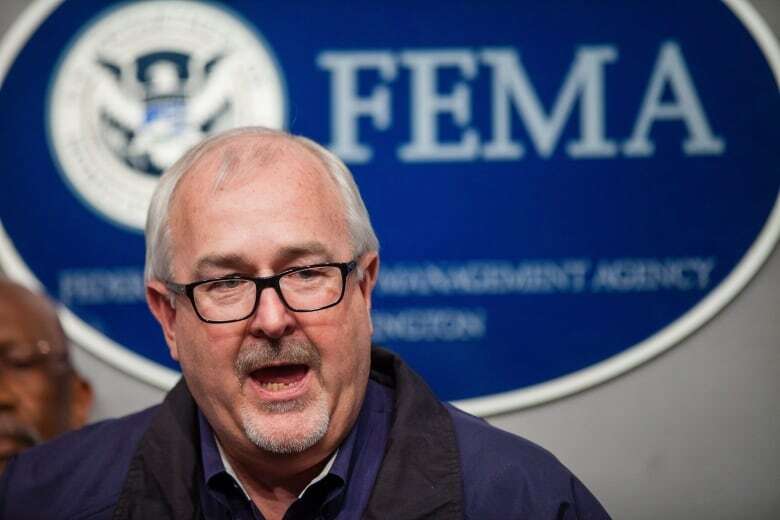 Craig Fugate, who was then the head of Emergency Management in Florida. He came up with the Waffle House Index when he was in Florida after some hurricanes in 2004. And when he became the FEMA administrator, he used that as a guide to really show how quickly the community is coming back online. If we're up and running, then people can see that the community's coming back. And so, it is kind of an unofficial metric that he used to reference how quickly communities come back after the storm. And once he became head of FEMA, it really took off. We do report to FEMA and the state agencies along with a lot of other businesses, but it seems like people kind of watch us because we're the small little 24-hour diner out there that has a storm centre and reporting things to FEMA. If there's no gas available, if there's no electricity, can you still keep the restaurant open? Yeah, we'll bring in generators and if we bring in generators, and you're going to obviously have to have a team that services them with fuel, and the electrician. We have nine different generator teams staged right now ready to roll into the markets. We'll have the generator team. We will bring in fuel, we'll bring in all the resources we need. We try to stay self-contained, so we're not drawing on the local resources. We have close to 15 trucks of food ready to roll in from our vendors to help resupply the restaurants. Who's manning the waffle irons then? I say it's a combination. We do have some folks that will stay and obviously we'll put them up in hotels and let them help out. But also right now, we have over 100 restaurant managers from across the country that are in the market to help the local restaurant managers out. So the local team can focus on the important things — their family, their employees — and so we bring in what we called jump teams to help them run the restaurant so they can focus on the important things. When you got into the food services business, did you think that you would ever be this involved in meteorology? No I didn't. We didn't think that we'd be this involved. It really has evolved for us. We don't have a meteorologist on staff, but we have one person who really monitors the weather and keeps us abreast of what's going on and it's kind of our first alarm system for when that storm is coming. He's monitoring all the forecasts and all the models. To hear the full conversation with Pat Warner, download our podcast or click the 'Listen' button at the top of this page. 'Who leaked that?' Take the Trump book quiz! Four black actors made history at the Emmys, but is television really becoming more diverse?